George Li’s website is here. The XV International Tchaikovsky Competition website is here. George is on the brink of a huge international career. He will be one of the great pianists of the 21st Century. It has been thrilling following his nascent career. 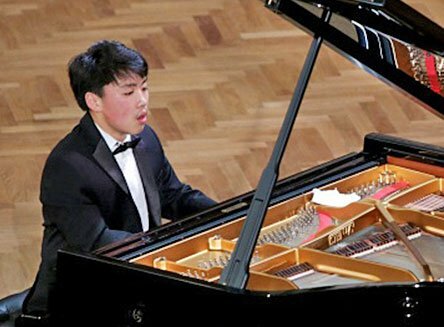 I’ve been watching George since I first heard him at the age of 10 playing a staggering performance of a Mendelssohn Piano Trio with Jonah Elsworth and Momo Wong. I’ve been a fan ever since! Go George! 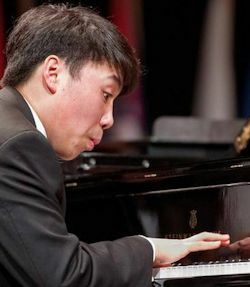 I remember hearing George Li at Jordan Hall absolutely an amazing experience! He won my heart that evening. It’s not at all easy to find one’s way around the klutzy Medici TV site, but the performances of Masleev (sweaty and rhythmically robotic at the same time, observed a pianist) and Li (and the others) at http://tch15.medici.tv/en/live/piano show that Li wuz totally robbed. Wow. (And I write this not as formerly the biggest Li fan.) Have not much studied Geniušas. But just check out the Prokofiev and the Tchaikovsky opening of Masleev and Li. There’s no comparison musically. Masleev could hardly be less supple, Geniusas too on brief listen is walking, nothing more, and Li is grand, and means it. May his heart-on-sleeve approach enable him going forward to play the same stuff, warhorse or other, repeatedly. But this sure is a hometown outcome.